John Lyon from Hansa sees something very different: potential. “Chipping has been gaining popularity as more people are looking for cleaner and greener ways to get rid of waste. With chipping, green waste becomes valuable mulch that can be reused in raised gardens and at the base of trees. It helps retain moisture, suppresses weeds and breaks down into nutrients for the plants when it decomposes. We’re helping to stop all those bonfires. It takes up less room and there’s no need to wait for the wood to dry out,” Mr Lyon said. A large chipping machine can be intimidating the first time it is used, but John says he finds customers are quick to take to it. John says it’s a common thing for people to underestimate their needs. “Plants grow, and people tend to upgrade to bigger blocks…” John said. As a manufacturer of a full range of chippers, Hansa has chippers from 30mm up to 265mm capacity, suitable for gardens all the way up to commercial users. “Many brands only specify theoretical maximum capacities, which makes it difficult for consumers to find the right size. (Hansa uses field tested capacities.) People often choose chippers based on price and they end up with chippers that can’t handle the job they needed it for in the first place,” Mr Lyon said. While mileage will vary based on what is being chipped, a good quality chipper – like a Hansa – can really last you a lifetime if it is kept well maintained. Capacity – What size material will you be chipping most, and how often will you be chipping it? Growth – Is your property size, or the number of mature trees expected to grow? 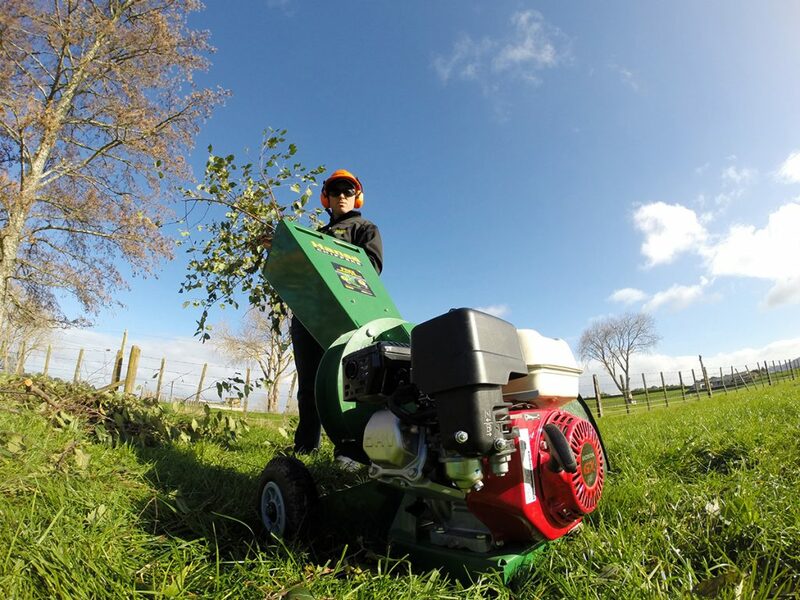 Maintenance – Like a mower, chippers require regular servicing to stay sharp. Does the chipper you want have warranties, service agents or parts readily available? A chipper should always come with a manual outlining how to use and care for the machine. Blades: chippers rely on the blades to do the hard work. Wearing over time, blades need to be checked and sharpened or replaced occasionally to maintain performance. Dull blades often show by producing bigger chips than sharper blades, and for self-feeding chippers like Hansa’s, the pulling action will slow and eventually stop. Since knives need to be sharpened to a precise angle, talk to the dealer where you bought your machine and ask for a local recommendation. V-belts: these require regular tensioning. Grease points: these require greasing after a certain number of operational hours. “What we ask our clients to check before using a chipper are the blades and the belts. Dry wood, soil and grit transferred from branches that have been sitting on the ground are probably the worst things when it comes to dulling the blades quickly. On smaller machines we’d recommend checking them every 10 hours. It all depends on the environment they’re working in,” Mr Lyon said. John Lyon is National Operations Manager at Hansa.